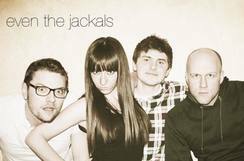 Formed in 2010, Even the Jackals brings an original mix of roaring guitar and soulful singing to the Chicago music scene. Pulling from influences ranging from rock and blues to reggae and funk, ETJ has developed an original sound that continues to attract a diverse fan base. They have played at many of Chicago’s premier venues drawing large crowds. Their first original 6 song EP was released in 2015 on Soundcloud and Bandcamp.